Rugged and durable Fingerprint reader built around FDU03FRS™ fingerprint sensor for reliable scanning under varying industry conditions. 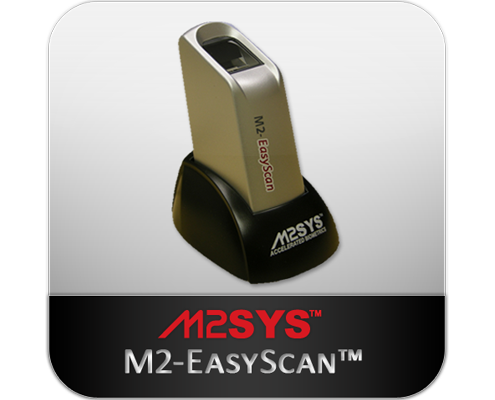 The M2-EasyScan™ – A fingerprint reader for every need. With over a decade of experience delivering biometric identity management solutions to customers throughout the world has led us to extensively test and support multiple fingerprint readers, ensuring that you have the right options for success. 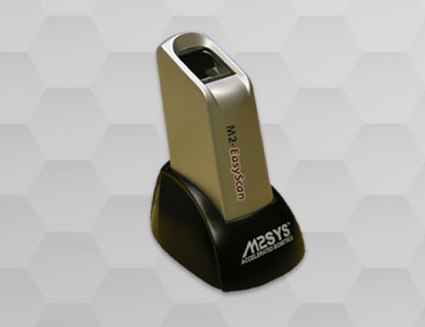 The M2-EasyScan™ fingerprint reader is a rugged, ergonomic fingerprint scanner that ensures a consistent image quality and accurate results, even in high throughput environments. Powered by our Hybrid Biometric Platform™ fingerprint software, and award-winning Bio-Plugin™ biometric integration middleware, fingerprint recognition with the M2-EasyScan™ fingerprint reader is permeating the commercial marketplace. In high throughput environments such as fitness club membership management or school lunch line POS, a fingerprint device is required that will capture a high quality image and will not degrade with frequent usage. The M2-EasyScan™ optical fingerprint reader from M2SYS was designed with these goals in mind and is meeting these challenges with success.